Mixing east London cool with cosmopolitan north London, Stoke Newington is without doubt one of our favourite London ‘hoods. 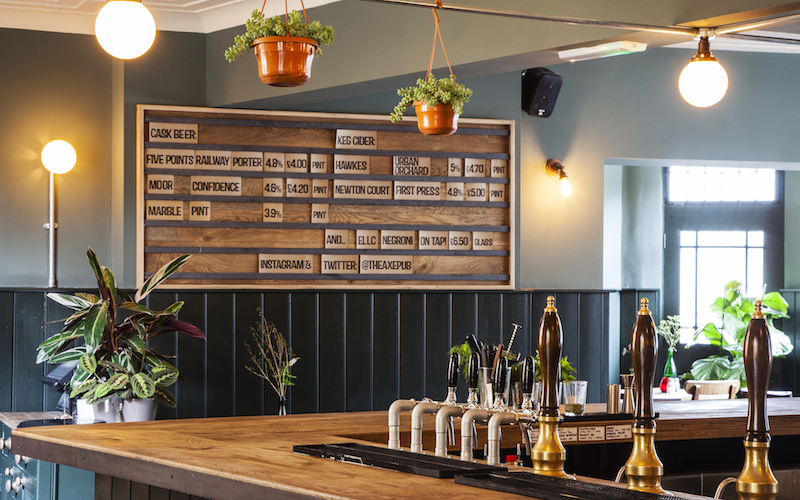 Close enough to Dalston that you can pop in if you need to but far enough away from the carnage to stay sane, N16 is full of leafy quiet streets, cute cafes, and one of London’s best green spaces, Clissold Park. 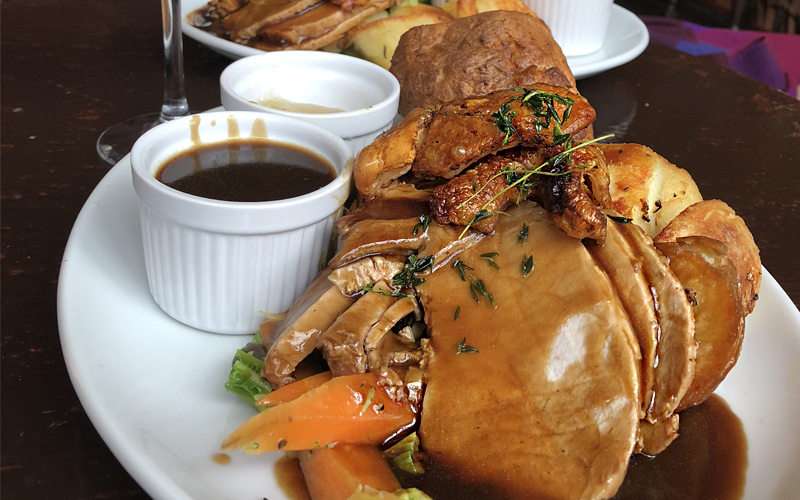 Our favourite places to eat in ‘Stokey’ as it’s affectionately known include The Good Egg, Perilla, Primeur, Wolf and the best of all Turkish restaurants, Cirrick II. If you’re cooking at home, there’s so many places to pick up ingredients including the incredible Stoke Newington Fruit and Veg, and the organic butchers Meat N16. 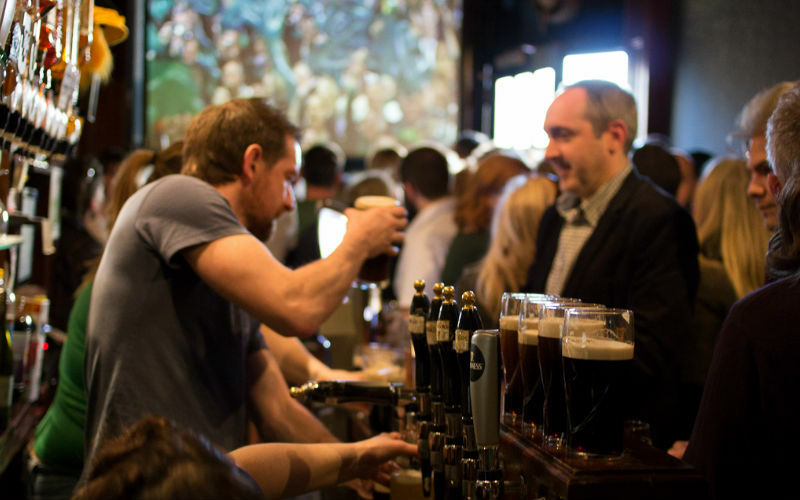 It’s also home to some of the best pubs in London, including The Shakespeare, The Axe, The Auld Shillelagh, and The Three Crowns. 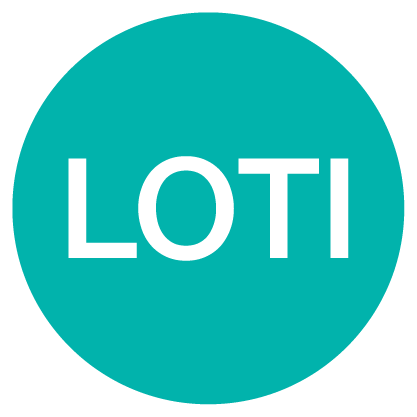 Residents are famously hostile to big brands and chains moving in so you’ll find a wealth of independent shops including Hub, Mint Vintage, and Search & Rescue. Luminary Bakery is one of our fave bakeries in London… and not just because they make some of the best cinnamon swirls we’ve ever had! The bakery is a social enterprise designed to offer opportunities for women from an economic and social disadvantage to build a future for themselves – and that means you can feast on cake guilt free! 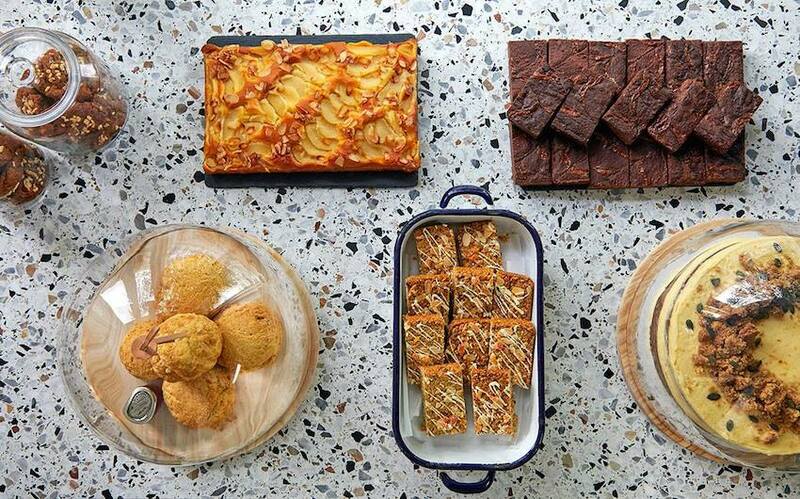 If you’re after brunch in Stokey, there’s really only one place to go – The Good Egg. 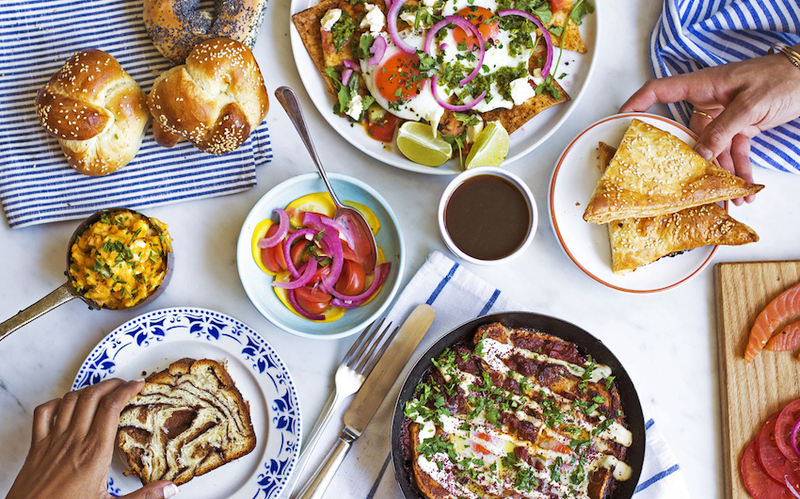 The Breakfast Burrito and Shakshuka are our faves, but if you’re after something sweet the Challah French Toast with a side of bacon will really hit the spot. 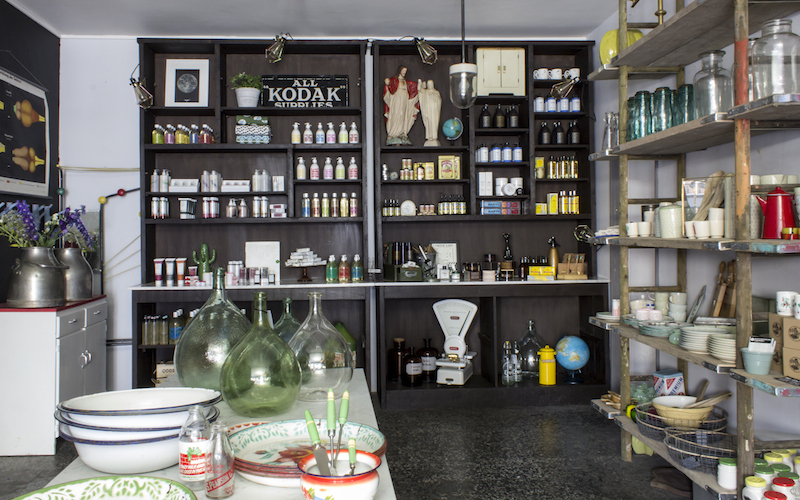 Search & Rescue is one of our fave shops in Stokey to poke about. Whether you’re looking for pressies or bits to fill your home, Search & Rescue has you covered – they literally do everything from ceramics to skincare. 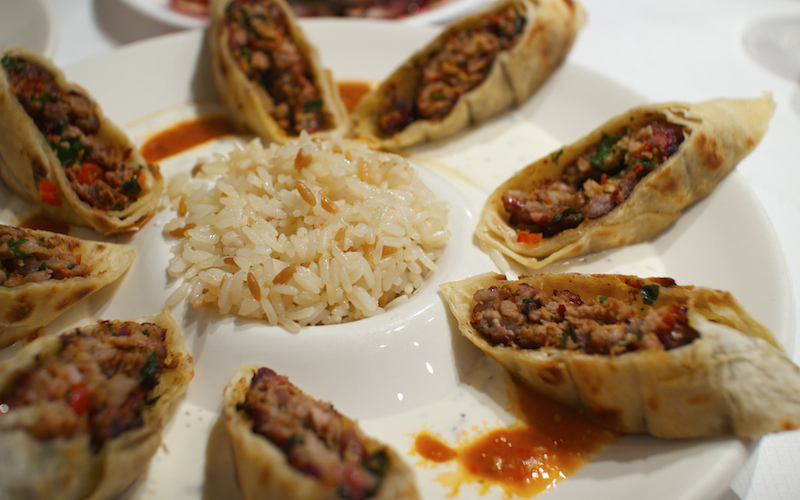 We love a good Turkish and Cirrick is our go to spot in Stoke Newington. The menu is long, but we suggest going for a kebab and pidde to get the most out of this place. With reasonable prices, you won’t break the bank having a Turkish feast here either. 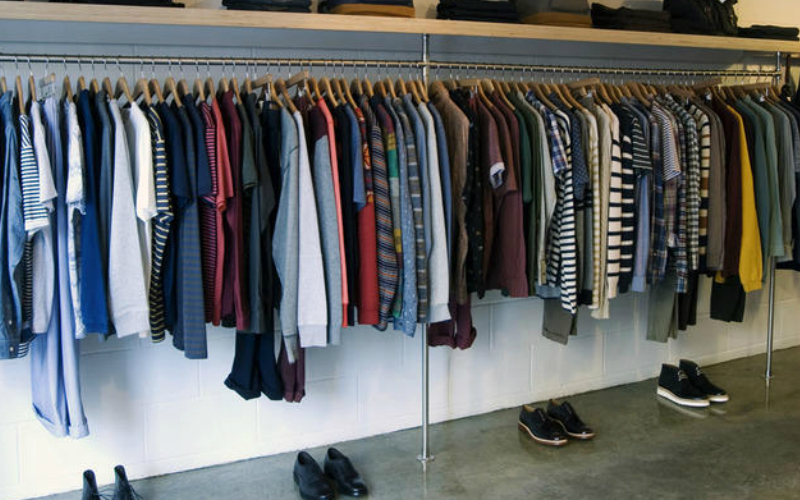 Hub is our go-to for new threads in Stokey. Stocking some of our fave brands including YMC, Wood Wood, Our Legacy, Ganni and Mads Nørgaard, it’s hard not to splurge here, but we all deserve a treat every now and then right?! Wolf might possibly be our fave restaurant in Stokey. The seasonal Italian spot has got the food down and their Danish 60’s style interiors are more than insta-worthy. The menu changes regularly but if their cuttlefish braised with nduja, chickpeas, squid ink with lemon and chilli is on the menu order it and their tiramisu is to die for! 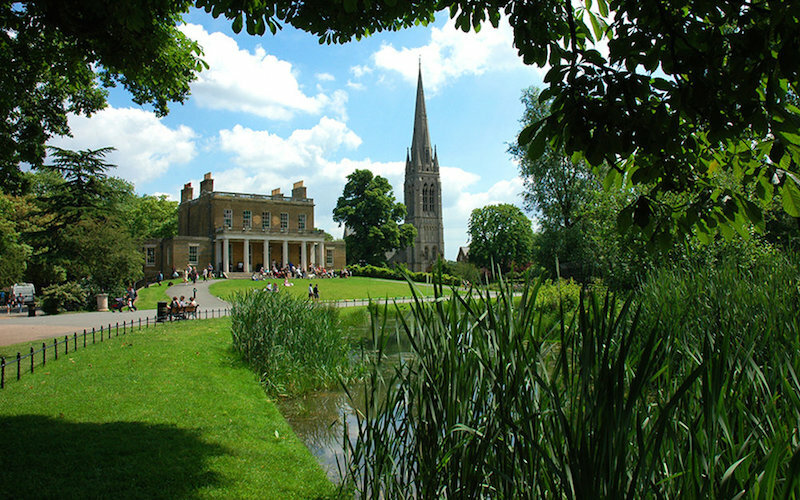 Clissold Park might not be the most well known or biggest park in London, but we love it. Whether you want to catch some rays, have a workout or see the animals (yes, they’ve got deer!) they’ve got it all. 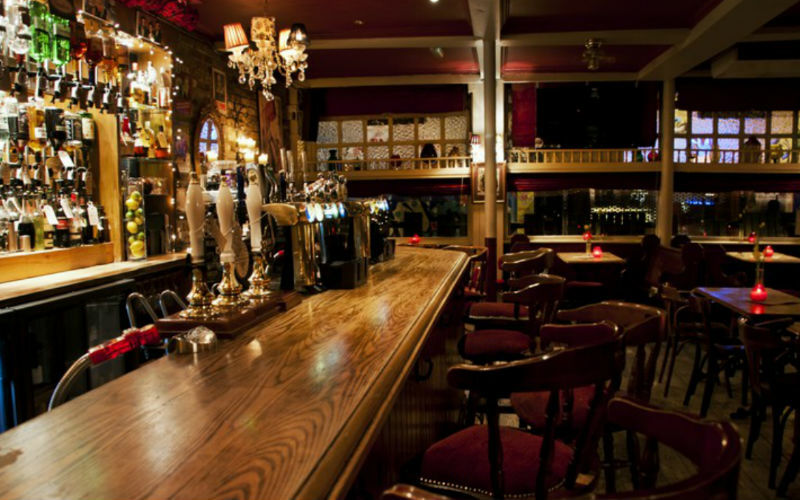 The Restoration is a bit of a hidden gem in Stoke Newington. 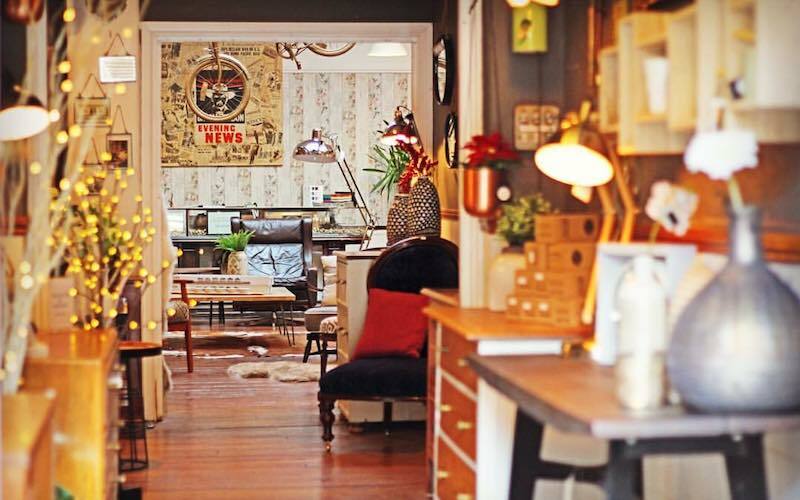 The vintage furniture shop is a bit like a maze and filled with restored pieces and retro lighting – it’s great for inspo even if you can’t afford it. 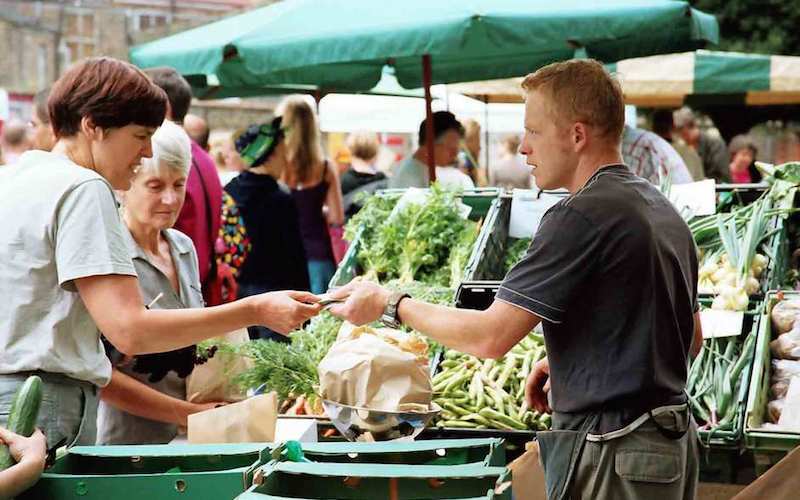 Stoke Newington Farmers Market is one of the best in town and it happens every Saturday. Everything sold is 100% organic and you’ll be able to pick up all your groceries with fruit, veg, meat, bread, cheese, raw milk, chocolate and more on sale. All the produce is also sourced from sustainable farms within 60 miles of London, so you’ll be supporting local in every way possible too. 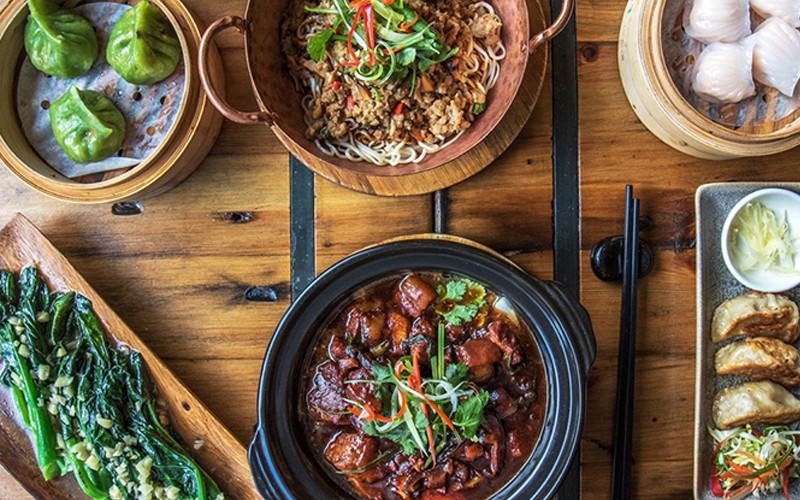 Searching for a place to get your Chinese fix in Stokey? Lu Lu is the place. The restaurant chefs are from Shanghai and there’s a decent dim sum section. The dumplings are all made fresh and by no means are they perfect – the casings are pretty thick but they are tasty and there’s no added MSG. They’re not badly priced either at just under £4 for three. Shout out to their lip numbing cucumber salad too. In need of a cocktail? 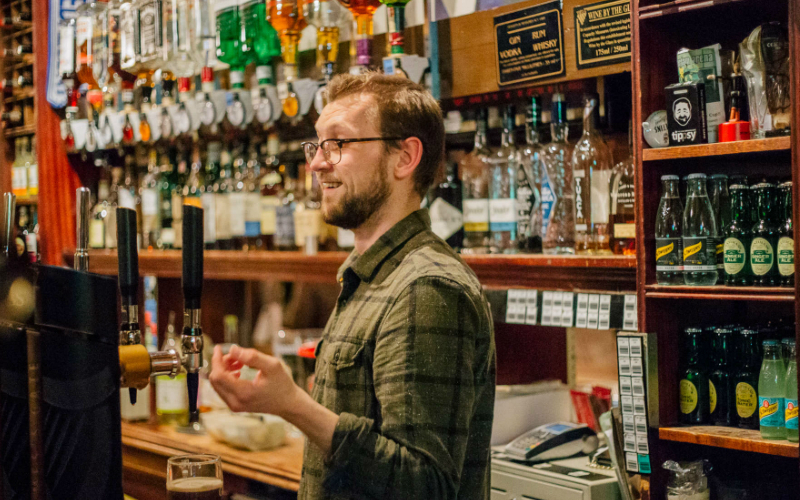 The Mint Gun Club is the place to go, and it ain’t no dimly lit basement bar. 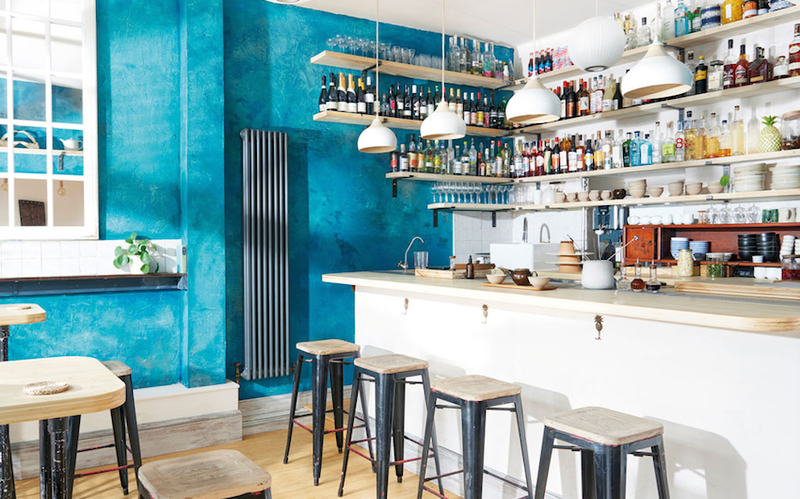 Themed as a tea room and aperitivo bar, the space is bright and airy thanks to huge windows and it makes for a nice change from the usual east London set up. The cocktails are inspired by the owner Richard Hunt’s travels around the globe. Original cocktails and a fresh vibe – grabbing a drink won’t feel like the same-old-same-old here. 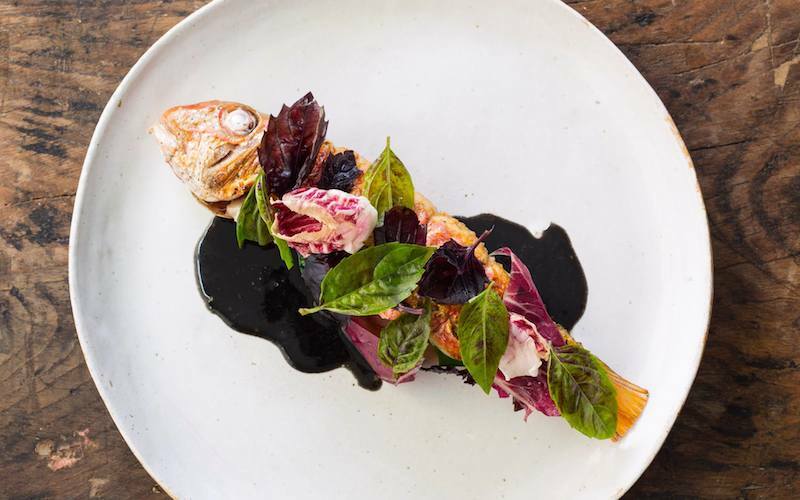 Perilla is fine dining without the fuss and their tasting menu is the best way to try a bit of everything. 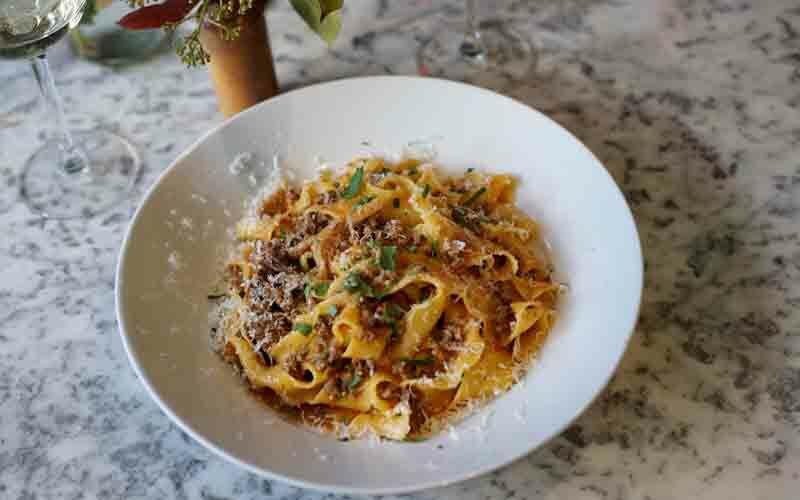 Although the menu changes regularly, expect dishes to include cuttlefish ‘bolognese’ and duck egg with mussels and parsley.